On Tuesday June 19th, 2007, the terms of the Global Warming Challenge were mailed, faxed, and emailed to Al Gore. The following is the communication that has occurred between Al Gore’s associates and Scott Armstrong since then. Thank you for inviting Mr. Gore to Speak at the International Symposium on Forecasting yesterday. We are sorry that Mr. Gore was unable to attend. I hope that the event went well. Thank you for your email of Thursday, June 28, 2007. As indicated in my letter to Mr. Gore, I made the official announcement of my Global Warming Challenge on Wednesday, June 27th at the 27th Annual International Symposium on Forecasting. I look forward to receiving Mr. Gore’s response. As stated, the terms of the Challenge are open to change. The Challenge provides an opportunity for Mr. Gore to encourage the application of scientific methods to forecasting climate change. By combining scientific forecasting methods with knowledge about the climate, we can determine which policies will be in the public’s best interest. Mr. Gore’s participation would have enormous benefits in this push to identify the best policies. 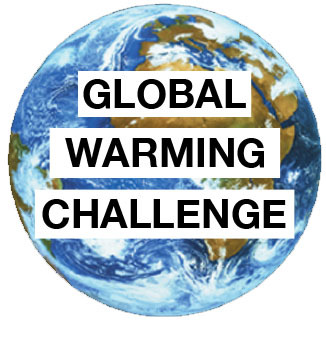 Mr. Gore can find reader comments and media responses to the Global Warming Challenge at theclimatebet.com. There has been and continues to be considerable interest and discussion concerning the Challenge. I would be pleased to send Mr. Gore a copy of my Principles of Forecasting book if you would send along the proper mailing address. The book provides empirical evidence underlying the forecasting principles used. Due to demands on Mr. Gore’s time, he will be unable to take on ANY new projects at this time. Unfortunately he will be unable to participate in the Global Warming Challenge. Mr. Gore joins me in appreciation for your efforts and I wish you the best of luck with your efforts. Thank you for understanding and Thank you for thinking of Mr. Gore. Thank you for your email of July 6. There must be a misunderstanding about my Global Warming Challenge. I designed it so that it would require only a few minutes of Mr. Gore’s time. He needs merely to nominate one of the many climate models that he has relied upon – or to ask someone on his staff to do so. All technical details can be worked out between his selected climate modelers and myself. Mr. Gore continues to devote much time and energy to the problem of global warming. By spending only a few minutes (and donating $10,000 dollars to a charity), he can help to promote the use of scientific methods of forecasting, an area that is currently overlooked by climate modelers. This would add enormously to our efforts to obtain better policies in preparing for climate changes. The Global Warming Challenge fits with his goal of applying science to pubic policy. You stated that Mr. Gore is quite busy currently. Please let me know when he would be able to spend a few minutes to take on the Global Warming Challenge. I am regretting Mr. Gore’s participation on behalf of his communications director and his scheduler. Please understand that Mr. Gore is not taking on any new projects at this time. Thank you. As noted previously, I understand that Mr. Gore is currently very busy. Mr. Gore said we need to offer “genuinely meaningful solutions to the climate crisis.” The purpose of my email was to find out when he would have time. He could do enormous good for the scientific study of this problem by spending five minutes on the Global Warming Challenge, when time permits. Thank you for thinking of Mr.Gore and inviting him to join you on June 27th. I apologize for the late response, but Mr.Gore has an extremely busy schedule and was not able to make it. I also read that you have a book called “Principles of Forecasting”, please feel free to mail that to Mr.Gore’s office at the address listed below. Thank you for understanding and good luck with everything in the future. Thank you for your reply. I will mail a copy of the book to Mr. Gore that address. As you might note from the latest posting on http://theclimatebet.com , Mr. Gore and I have a common interest in promoting a scientific approach to climate change. Thank you for your previous emails and your letter concerning the Global Warming Challenge. You had mentioned that you were looking forward to reading my book, Principles of Forecasting; I believe the principles are critical to making accurate forecasts for global warming. In earlier communications, your staff mentioned that you were too busy at the time to enter in the Global Warming Challenge. As a result, I am happy to extend the deadline beyond December 1st, 2007, to March 26th, 2008. In addition, I have found a way to make your task much easier. I propose that you place $10,000 on the Hadley Centre Forecasts. This would merely require that you sign on the “I agree” line at the bottom of this letter. Each of us would then arrange to transfer $10,000 to a trust of your choosing. The money would be invested in mutual funds, and the proceeds would go to the winner’s charity on March 26th, 2018. Al Gore is invited to select any currently available fully disclosed climate model to produce the forecasts (without human adjustments to the model’s forecasts). Scott Armstrong’s forecasts will be based on the naive (no-change) model; that is, for each of the ten years of the challenge, he will use the most recent year’s average temperature at each station as the forecast for each of the years in the future. Details on the 10-year bet would be handled with discussions between me the Hadley Centre. I would ask an independent board to aid in this process of finding an appropriate design and to monitor the progress of the bet. You would be kept up to date, and you would have the right to ask the board to consider changing aspects of the design. I believe we have a common goal. Although I expect to win, the purpose of the challenge is to promote interest in a scientific approach to forecasting. Climate experts have done much useful work to explain the past, but their approach to forecasting does not adhere to scientific principles. The spokesperson said that with respect to question #1, “Mr. Gore simply does not wish to participate in a financial wager.” Armstrong responded that it was fine by him and that we could “merely do it for its scientific value.” The spokesperson said that she would ask Mr. Gore. Armstrong asked if Mr. Gore would also respond to question #2.